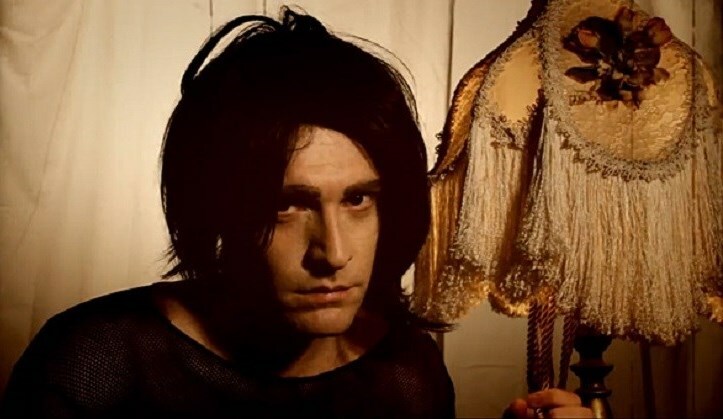 The Electricity Club has recently been gaining much enjoyment from a video which brutally satirises TRENT REZNOR and NINE INCH NAILS. ‘This is a Trent Reznor Song’ by FREDDY SCOTT hits the proverbial nail (sorry couldn’t resist it) on the head in deconstructing the various elements that make up a NIN song. Based around ‘A Copy Of’ from the last NIN album ‘Hesitation Marks’, Scott’s rather hilarious track is structured in such a way that it wickedly pokes fun at many of the trademarks of Reznor’s act – including the “random percussion”, “weird guitar” and several knowing references to their lead singer’s vocal production techniques. What makes the song so successful is the attention to detail, like the little delays in the verse and the use of the “Weird sound” FX pedal before the song’s bridge. The video itself contains what have now become recognisable tropes in certain NIN promos, the silhouette shot, the creepy sepia dead animal shot and the intercut band performances with Scott perfectly aping Reznor’s stage posture. Comedian Scott had previously caused a bit of a stir with his RED HOT CHILI PEPPERS aping ‘Abracadabralifornia’, which although semi-fooling some into thinking it was a new Chili’s track, in places actually came across more like a MORRISSEY sound-a-like than lead vocalist Anthony Keidis.